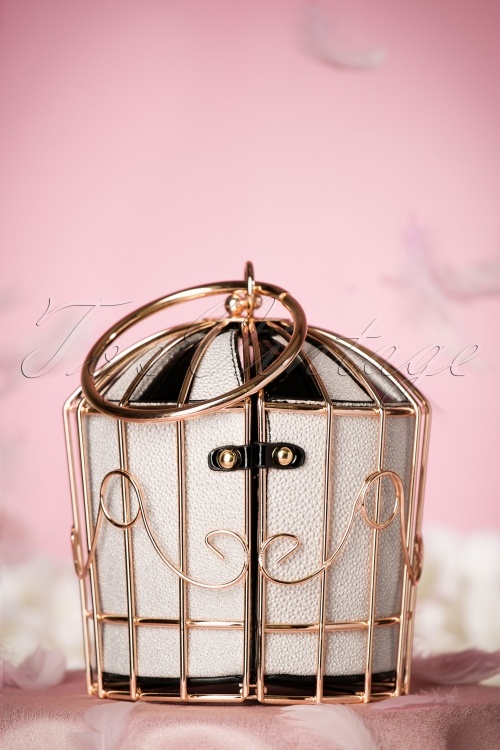 This 20s Classy Birdcage Handbag is a super elegant and unique handbag in art nouveau style! 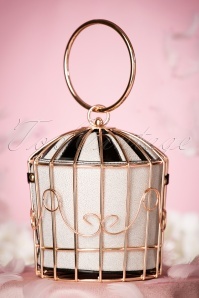 With this beauty in your hand you won't feel like a princess in a golden cage, but like a glamorous vintage queen! 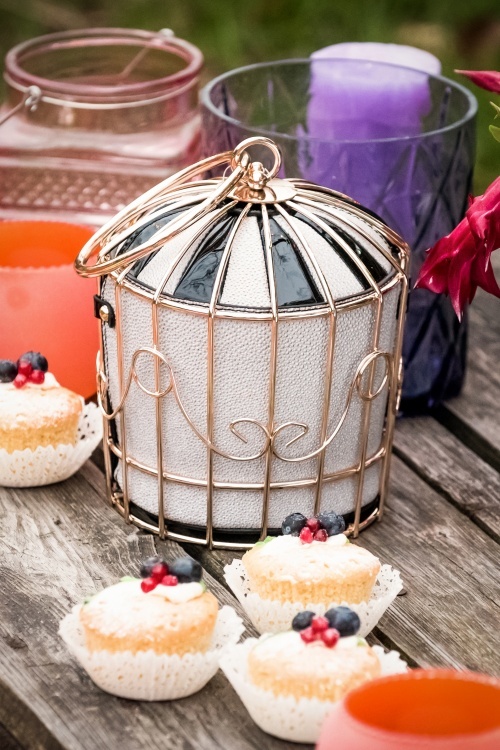 Made from gold toned metal with beautiful ornaments and finished off with an extra bag inside made from high quality lacquer in black and cream with a beautiful shine. It doesn't get more classy than this! 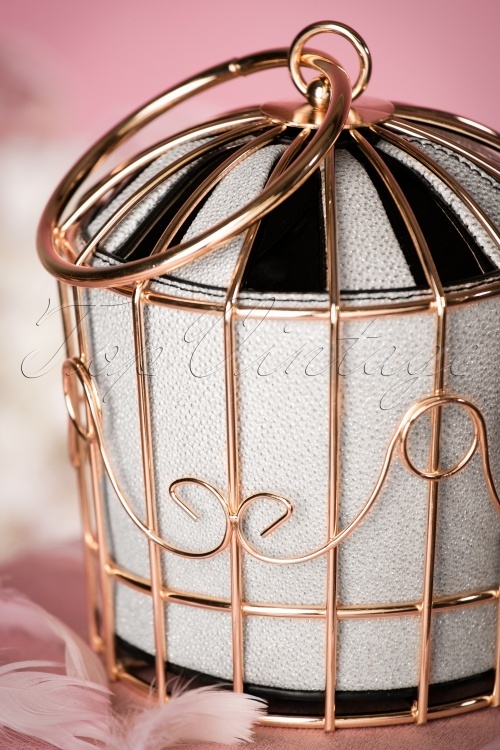 Ich entdeckte diese wunderschöne Tasche und mußte sie sofort haben. Ein so außergewöhnliches Teil, hochwertig verarbeitet, einfach perfekt. Es passt nicht wirklich viel hinein aber was Frau unbedingt benötigt findet Platz. 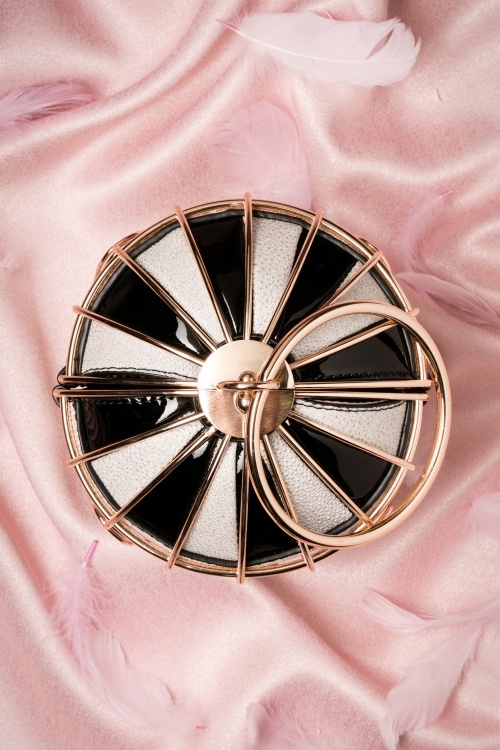 Everybody is just staring at my bag! So many compliments on this article as never before. I just love it, I love the feeling wearing it, I love the style. Nevertheless, I have a... rather small problem during opening. It does not go so smoothly.